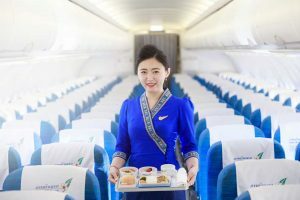 As Yoon Sora poses gracefully before the camera, unconsciously making the tiny, elegant movements of a flight attendant, she looks every bit the part in her silk sinh, or Lao skirt, which is part and parcel of the Lao Airlines uniform. Although conspicuously Korean among her colleagues, she tells us her story in flawless Lao. Arriving in Vientiane eighteen years ago from Korea, after her father was transferred to Laos for work, Sora recalls a difficult transition to the developing country. “It was very different to my hometown. The culture was different, the food was different, and I couldn’t understand anyone. At that time many people in Korea had not even heard of Laos,” Sora says. But, after completing both high school and university in Laos, Sora is now proud to call the country home. 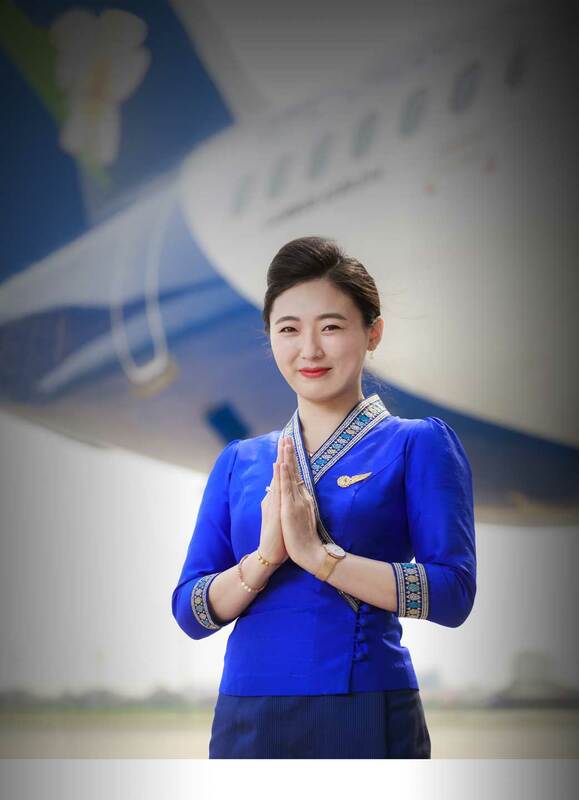 She’s also more than proud to have become a representative of Laos on board the national carrier, Lao Airlines. At first the airline was accepting applications from Lao nationals only, however later Korean citizens were encouraged to apply. “It was like a dream come true when I heard that my application had been accepted,” she says. There are now four Korean flight attendants traversing the skies with Lao Airlines. While the others are all based in Incheon and fly back and forth from Korea, Sora is a special case. 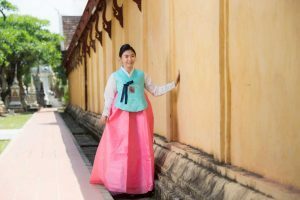 Effortlessly switching between English, Korean, and Lao, she is able to work on all domestic and international routes offered by Lao Airlines. “My favorite part about the job is that I can travel to so many different places and meet so many different people. My favorite city in Laos is definitely Luang Prabang; it is so peaceful and the people there are very friendly,” says Sora. Sora has been working as a Lao Airlines flight attendant for the past three years, and plans to remain in Laos.